Last Summer we renovated the front entrance of the RainyDayMagazine office. This year we hired painters and did the outside of the entire unit. As part of the refresh, we are looking at upgrading the security around the place. Even though there are video cameras and somebody is in the office 24/7, we still keep the doors locked. We are in the city after all. The security review revealed to us that the biggest bang for our buck is upgrading the access control to our office. The interns did some research on the various options and made a recommendation: biometrically-controlled deadbolt. We will no longer need to give keys out to everyone or have to change the locks when a key has been lost. All we need is to add their fingerprints to the lock’s database and delete it when access is no longer necessary. We looked into fingerprint scanners about five years ago, but decided against installing one because of their reported reliability issues. Fingerprint scanner technology has matured quite a bit since 2006 and locks based on it have paralleled those improvements. After looking at all that was currently available, the one which seems to fit our needs best is the NextBolt from Actuator Systems. Actuator Systems manufactures biometric deadbolt locks under the BioAXXIS brand name. 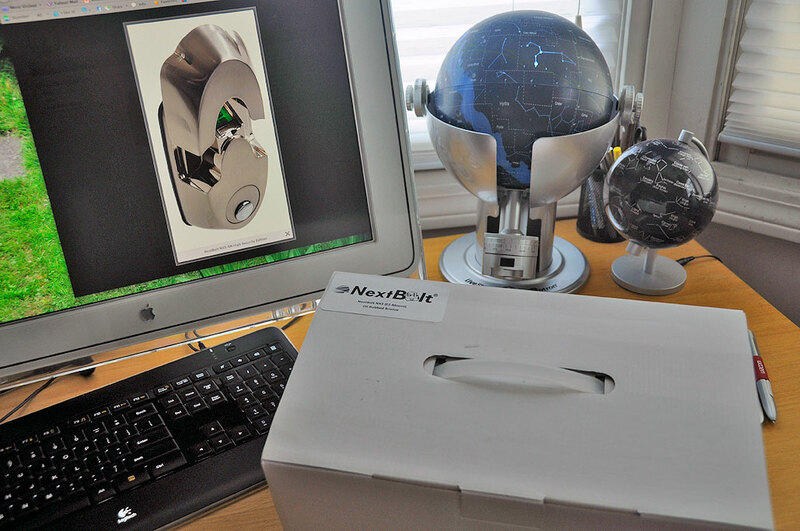 Their latest technology is the new 2011 line of fingerprint deadbolt locks called the NextBolt. We picked the NX3 because it comes with the EZ-mount kit which is designed to be installable by anyone using just simple tools. If the door currently has a deadbolt installed (ours does), then there is no drilling, chiseling, or a visit from a locksmith required. The upgrade can be done with just a simple screwdriver. The unit is weatherproof and is designed for outdoor use in temperatures -30 F to 150 F, perfect for New England. Once installed, the weakest part of the front entrance’s security is not going to be the deadbolt. That is for certain. Since Hurricane Irene is coming, we don’t have any other plans for the weekend. We are going to try to get the lock installed before the storm hits us on Sunday. As always, we’ll have the installation and FirstUse write-ups available as soon as possible.